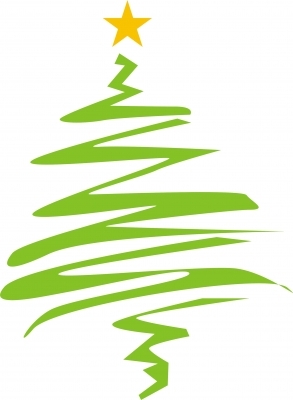 On your holiday visits this year, pay close attention to your parents and elderly family. Is Dad watching too much TV? Is Mom not baking her traditional sweet potato pie? Have they recently lost weight due to uncooked or forgotten meals? If the normally neat and tidy home is becoming a messy and disorganized, there might be a problem. If you notice memory problems or physical unsteadiness, these are also areas of concern. Finding out that your parents need some extra help for their own safety can indeed be a very tough conversation to have with them. But you need to have the courage to do it. Coming up with a game plan will make any new transitions easier makes every one more focused. Assess your parents’ needs first. Find out through information from their doctors’ visits how challenging any mental and physical limitations might be. Living in their current home may not be an option in 2013. At Your Next Move we can help you navigate the process of finding maintenance-free senior care housing. Do a check at www.BenefitsCheckUp.org to discover what benefits, discounts and programs your parents might be eligible for based on their age and background. You might be surprised to find out your mom can access a discount drug program or a senior nutrition program. Check to see if your parents’ long-term care is covered under Medicare and if not, are they covered under Medicaid? Your parents may not be eligible if they have made a cash gift or issued an asset transfer within five years of applying for Medicaid. It is important to check and find out. At Your Next Move we can also check to see if your parents’ new assisted-living facility or residential car home works with hospice—not all places do so. We know you have been charged with the responsibility to make some critical changes for your parents. It seems like it is always on your shoulders. 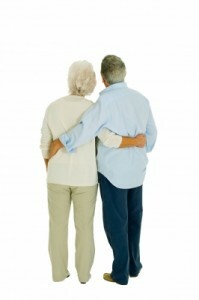 We also know that you ove your parents and want the best care for them in their golden years. If you see visible changes in their habits, take action quickly so the start of your New Year will begin with less stress, better health and peace of mind for you both. Contact us today to help you With Your Next Move. We provide stability, opportunity, and accountability and we are always there to serve. This blog post about Senior Transitions is brought to you by the team at Your Next Move. If you are interested in further information you may contact us below. LIKE us on Facebook and follow us on Twitter to get the most current communication on the subject of senior relocation. Please join our mailing list. In the U.S. over 5.3 million people suffer from Alzheimer’s while affecting the lives of another 10.9 million caregivers. Consequently, there are many facilities geared towards the care of Alzheimer’s patients. Assisted living: Also called board and care, adult living or supported care, these facilities bridge the gap between living independently and living in a nursing home. Nursing homes: Also called skilled nursing facilities or long-term care facilities, nursing homes provide long-term care to individuals who require ongoing nursing care and supervision. Alzheimer’s special care units (also called memoir units): These are designed to meet the specific needs of individuals with Alzheimer’s Disease and other aspects of Dementia. It is never easy to hand over the care of a loved one to someone else, but we are a company dedicated to assisting with senior transition. Hopefully the above information we have presented will make you feel more comfortable with the important consideration of assistance and process; we want you to make informed decisions. Contact us today to help you with Your Next Move. Is Moving a Parent on Your Agenda? Moving is one of most stressful events that anyone faces in life. And Baby Boomers can relate. This is especially true if you are thinking of moving your aging parents from the home they have known for decades. There is stress just in the consideration; but it doesn’t have to be this way. Imagine someone else taking on the cleaning and decluttering work for you, so that your parents can soon relax and enjoy their new home with peace of mind. Imagine someone who is nurturing, caring, and understanding of your parents’ doubts and fears about leaving the home they have so many memories of after 30, 40 or even 50 years. Imagine someone who can advocate for you and your aging parents and can assure you of finding the right realtor to sell the home, the right mover, the right new housing, with whatever their specific needs may be. 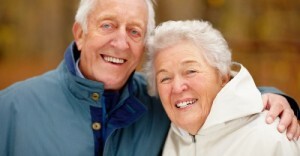 Your Next Move in the Triangle NC area is the sole solution for moving your aging parents. This first blog post is the beginning of both help and support for this type of situation in the Triangle region and across Raleigh, Durham, Chapel Hill and the rest of North Carolina. In future posts we will showcase the different aspects and challenges of moving aging parents. We’ll feature posts on moving parents with Alzheimer’s or dementia, to posts on what to do with all of the stuff that has accumulated in your parents’ attics and basements, to convincing your reluctant parents that a new, smaller home is a safer choice than continuing to live in an older home with too many stairs. We absolutely love solving problems for people, while at the same time making a difference in their lives. We have been doing so by helping people relocate to the Triangle area for more than 16 years. Julie Kopetsky, President of Your Next Move has had a career filled with professional distinctions, as a Certified Relocation Professional and a Global Mobility Specialist. She is also a licensed Realtor having recently served as the Senior Vice President of Corporate Services at Coldwell Banker Howard Perry and Walston, where she worked with clients who were relocating to the area in a new career opportunity. Before that she was the Director of Business Development for Prudential York Simpson Underwood Realty. In 2011, Julie formed Your Next Move, the organization that specializes in helping Baby Boomers select the right housing and life choices for their aging parents. Julie knows and appreciates the complexities and challenges of the moving process from having moved her own aging parents. Let us help you succeed with moving your parents, so all of you can be comfortable and secure. Visit our site at www.yournextmovenc.com . Remember, you are no longer alone. Contact us today to help you with your next move!